We are very good at incorporating the various settings in which we photograph weddings into our photos, but we do love simple, beautiful photos like this one that are location-independent. In other words, this photo could have been taken anywhere — although if you're curious, it was a Thornewood Castle wedding. 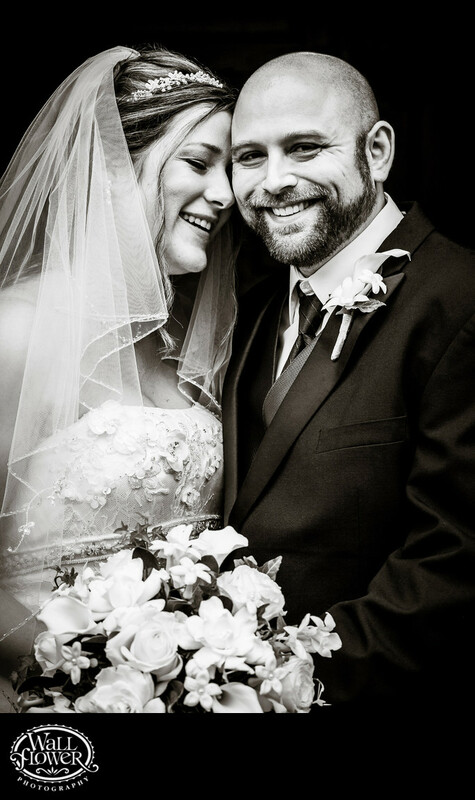 The black and white effect serves to help train the viewer's eye on the bride and groom's happy faces, and makes the photo feel even more classic.